Arizona House Democrats: Is the governor paying attention? Is the governor paying attention? House Democrats joined the rally, calling for the governor to invest in education. Do not be fooled by Ducey's claim that his budget puts more money in the classroom. He is playing a shell game - cutting K-12 education by about $13 million and refusing to return the voter-mandated $330 million inflation funding to our schools. For years, Republicans have been balancing the budget on the backs of Arizona kids. Teachers' salaries are too low and classroom sizes are too big. By failing to invest in education, the governor continues to jeopardize the state's economic stability. Any true economic recovery plan focuses on education, so that students are prepared for higher education and for 21st century jobs. A budget is a statement of values. 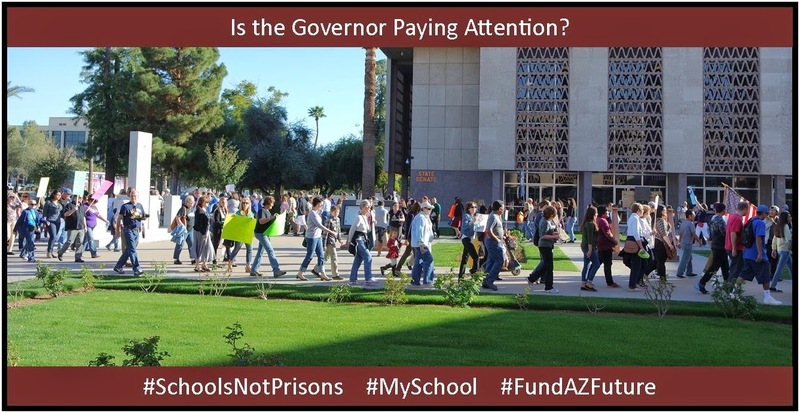 Ducey's budget cuts education funding, while bankrolling $100 million over three years for a new private prison. This despite the fact that Department of Corrections Director Charles Ryan told the House Appropriations Committee that there is currently space available in some state prisons. 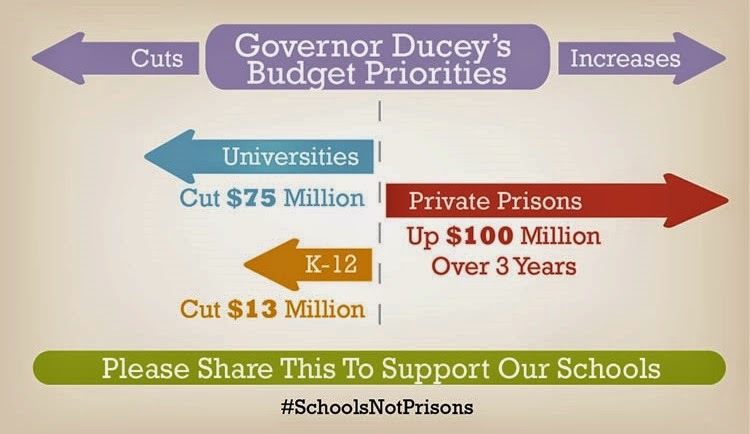 Does this mean Ducey values incarceration more than education? It is also an indication that the governor is out of touch with what Arizonans want. A recent poll from the Morrison Institute shows that education is a top priority for people in this state. The message is loud and clear; the governor needs to fund education. The question remains, is he paying attention?